How have the challenges faced by daily newspapers and traditional media outlets affected local coverage of arts and culture? Where are consumers going to make decisions on how to spend their cultural dollars? Is there a shift away from qualified criticism and how does that affect artistic product? Join us for a speaker event and panel discussion featuring Douglas McLennan of Arts Journal and the National Arts Journalism Program, Bill Marimow of The Philadelphia Inquirer, Chris Satullo of WHYY and NewsWorks.org, Megan Wendell of Canary Promotion and Meredith Broussard of the University of Pennsylvania to discuss how cultural journalism has changed in recent years and what the future may hold for the field. Bill Marimow, the editor of The Philadelphia Inquirer, is a native Philadelphian, who has served as a reporter, editor and assistant to the publisher at the newspaper. Marimow has twice won the Pulitzer Prize – first, in 1978, for a series of stories written with a partner about criminal violence by Philadelphia police, and in 1985, for investigative reporting about the Philadelphia Police K-9 unit, whose dogs were attacking innocent, unarmed men and women. At the start of his career, Marimow was a reporter at The Evening Bulletin and The Inquirer, where he covered economics, labor, state and federal courts and served as City Hall bureau chief. In 1993, Marimow joined theBaltimore Sun, serving as Metro Editor, Managing Editor and Editor in Chief. During his 11 years at The Sun, the newspaper won Pulitzer Prizes in feature writing, investigative reporting and beat reporting. After leaving The Sun, Marimow joined National Public Radio, where he was managing editor for national news and vice president for the news division. 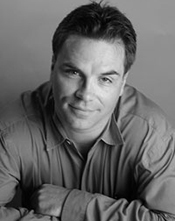 In Nov. 2006, he joined The Inquirer as editor and led the newspaper until fall 2010. Eight months ago, Marimow rejoined The Inquirer as the editor after teaching at The Cronkite School of Journalism at Arizona StateUniversity. 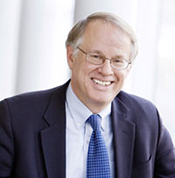 A graduate of Trinity College, he also studied law in 1982-83 as Nieman Fellow at Harvard Law School. He is currently a member of the Trinity College board of trustees. Marimow is married to Diane, a sculptor and potter, who also works in the Education Department of the Philadelphia Art Museum. He has two children – Ann, a reporter at The Washington Post, and Scott, who is a principal at Providence Equity Partners. Chris Satullo joined WHYY in late 2008 as executive director of news and civic dialogue. At WHYY, he has been instrumental in developing the news and dialogue website NewsWorks.org and the companion radio program NewsWorks Tonight. Before that, he was editorial page editor and columnist for The Philadelphia Inquirer. In 2007, he co-founded the Penn Project for Civic Engagement, which convenes forums to connect citizen concerns to journalism and politics. He won the 2000 James F. Batten Award for Civic Journalism for a Citizen Voices project on city elections inPhiladelphia. The Great Expectations project on the 2007 city elections won a 2008 National Headliners Award for journalistic innovation. He's won more than 40 awards for news writing, columns and editorials. He's a graduate of Williams College and a former Fulbright Fellow. Meredith Broussard’s journalism has appeared in Harper's, The Washington Post, Slate, The San Francisco Chronicle, The Philadelphia Inquirer, Philadelphia magazine, and The Huffington Post. A contributing editor at Hidden City Philadelphia, she was a 2012 USC-Getty Arts Journalism Fellow and led an award-winning team in the 2012 Civic Data Challenge, a data journalism competition. She has published two anthologies of strange and true stories about love gone wrong: The Dictionary of Failed Relationships (Three Rivers Press, 2003) and The Encyclopedia of Exes (Three Rivers Press, 2005). A former features editor at The Philadelphia Inquirer, Broussard has received support from the Pennsylvania Council on the Arts. Prior to her career as a writer, she worked as a software developer at the MIT Media Lab and AT&T Bell Labs. A graduate of Harvard University, she holds an MFA from Columbia University and teaches at the University of Pennsylvania. Megan Wendell has been championing the arts for over a decade as President of Canary Promotion, providing communications services for arts, culture and mission-driven clients. Established in 2001, Canary Promotion was founded and is run by people who are truly invested in the cultural, creative and nonprofit communities. The Canary team brings to each project over 15 years of experience working in various areas of the communications, journalism and arts fields. Wendell has led campaigns for dozens of cultural organizations and artists in performing arts, visual art, design, higher education, heritage and history. 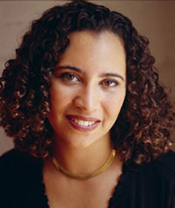 She has worked on numerous projects, of both regional and national scope, funded by such granting organizations as The National Endowment for the Arts, The Pew Center for Arts & Heritage, The William Penn Foundation, the John S. and James L. Knight Foundation and the Philadelphia Cultural Fund. She is a member of the Public Relations Society of America, has served on the Pennsylvania Council on the Arts Advisory Panel and Americans for the Arts convention marketing committee, and has participated in several professional development programs, including courses at the Wharton Small Business Development Center and the Forum of Executive Women mentoring circles. Wendell regularly draws from her own artistic background as a musician who graduated from Berklee College of Music, launched several successful tours, nationally released and promoted albums and founded an independent record label. She loves that her work gives her an opportunity to fully immerse herself in the amazing cultural community of Greater Philadelphia and beyond. This program is part of the Cultural Alliance’s research initiative, Creating Change, and is supported by a grant from the William Penn Foundation. How have the challenges faced by daily newspapers and traditional media outlets affected local coverage of arts and culture? Where are consumers going to make decisions on how to spend their cultural dollars? Is there a shift away from qualified criticism and how does that affect artistic product? Join us for a speaker event and panel discussion featuring Douglas McLennan of Arts Journal and the National Arts Journalism Program, Bill Marimow of the Philadelphia Inquirer, Chris Satullo of WHYY and NewsWorks.org, Megan Wendell of Canary Promotion and Meredith Broussard of the University of Pennsylvania to discuss how cultural journalism has changed in recent years and what the future may hold for the field.